Free 7-Day Trial to kick things off. Monthly Wild Meal Plans done-for-you each month. 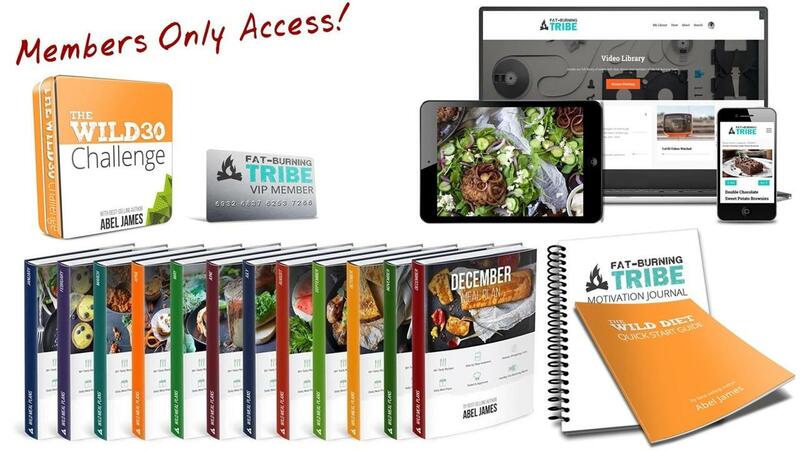 Recipe Library - Instant access to 7 categories of delicious, fat-burning meals. Quick Start Guide so you can get started right away. Motivation Journal to track meals, exercises, sleep & mindset. Challenges with clear goals, fun giveaways, and community support. Fat-Burning Articles with helpful fat-burning advice. Supportive Community that wants you to reach your fat-burning goals! Video Library where you can unlock new content the longer you're a member. Future payments of $27 per month: If you like it, you can continue at the discounted rate of just $27 per month! Note: The books are instant downloads and no physical products will be shipped. If you have any questions about your order we are here to help. Email us at [email protected]. If you're not completely satisfied with this product, let us know anytime within 60 days for a full refund.